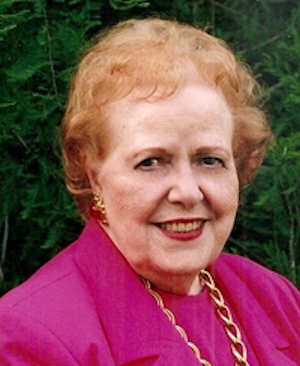 Obituary – McKee, Ethel Delores (Huffman) « Perry High School Alumni Association, Inc.
Ethel Delores Huffman McKee died peacefully at home on July 24, 2010. She was 95. She was preceded in death by her husband of 46 years, Lowry Frank McKee, and her son, Robert Lowry McKee. She is survived by children Meredith Blackstock and her husband Craig Blackstock, Charles McKee and his wife Susan Willhour McKee of Tulsa; Melissa Phillips and her husband, John Phillips of San Antonio, TX; seven grandchildren, and six great grandchildren. 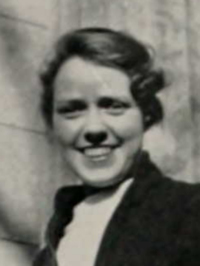 Delores was born in Perry, Oklahoma, in 1915 to Charlie and Ethel Sears Huffman. She graduated Valedictorian from Perry High School at age 16 and attended Stephens College, Oklahoma State University and graduated University of Oklahoma with a BA degree. She was a dedicated homemaker and civic volunteer and a long time member of First Baptist Church. She was a Diamond Arrow of Pi Beta Phi, an active member of PEO and Tulsa Boys Home, and a founding supporter of the Little Light House. Her other passions involved travel, time spent with friends and family, and the musical performances of her grandchildren. She was a loving and generous mother, grandmother, and friend. Memorial services will be held at 2:30 p.m. at Southern Hills Baptist Church, 2218 E. 56th Place. Donations may be sent to the Little Light House, 5120 E. 36th St., Tulsa, 74135.